Amigos, the future is here. Elon Musk has finally unveiled pictures of his much-hyped Martian Project, showcasing his SpaceX Moon Base in his latest Instagram post. Initially, Elon was supposed to reveal all the details of the project in through a scheduled presentation, but he took to social media to share the images with the world. This Instagram post, consist of a monster interplanetary rocket, which is sitting like it’s no big deal on the surface of the moon. 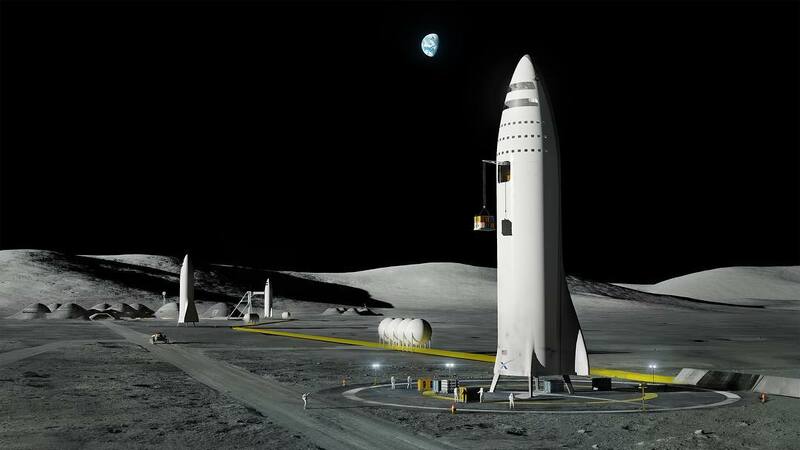 He simply captioned the image with “Moon Base Alpha”. The picture hints, that how musk has developed the technology to transport on other planets. The turbo brand has been working on Interplanetary Transport System for a while now, so we wouldn’t be surprised they have discovered a way to efficiently create human presence on the moon’s surface. Elon Musk is the CEO of SpaceX and wants to ensure that the idea can help the mankind in doing the impossible. SpaceX success can change the world forever. SpaceX CEO, however, has been a loyal staunch supporter for colonizing Mars. So, if this experiment goes well Elon, will be headed into space explore the universe. There are several space agencies like Russia, European, and China Space Agency, who love to invest in the mission to the moon, but Trump’s administration might also be creating a lot of pressure for the company. One thing is for sure; by displaying his rocket and moon mission he has got the attention of dozens of potential buyers. Hopefully, we will learn more about the project today. He is going to discuss this idea and his presentation today at International Aeronautical Congress in Australia, so turn on your news and get ready to step into the future with Elon Musk.